Bert is a really busy man. He is always in meetings or driving in some exotic location or covering motorsport in some far-flung desert. Bert also happens to have custody of the new Tucson long termer but he's such a busy man that it's already spent a month with me! In this time, I've discovered that the Tucson is one ideal vehicle for the Indian driving conditions. It has the presence and ground clearance but is also manageable in traffic. I have been steadily falling in love with this latest Hyundai and this affair doesn't look like it will end soon. My happy moment was the discovery of the AutoHold function. Press the button while in motion and a greyed-out icon appears at the bottom of the meter console. This symbol turns green if you hold the brake from more than two seconds upon coming to a standstill. This mode effectively holds the vehicle on the brakes in Drive mode, even when the driver releases the brake pedal. The Tucson will not move unless you prod the accelerator. This works well in endless stop-go traffic when you don't want to repeatedly shift to Park mode. There's also the Drive mode button which is placed right next to the AutoHold. This alters response from the engine as you switch from Economy to Power mode. I haven't used this one as often as the Tucson is quite peppy in the regular mode. Which brings me to the diesel engine. It is a well-refined workhorse, something that we have come to expect from all modern-day Hyundais. To be frank, I didn't feel the surge that I expected from a 185PS motor; however, a quick glance at the speedo will indicate that illegal speeds arrive surprisingly quick. 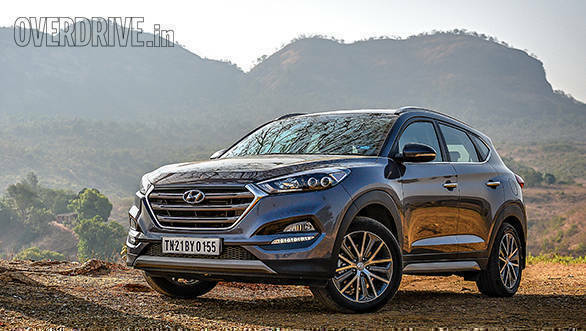 The Tucson diesel automatic is scarily fast but will not let the occupants get a whiff of it. In the same vein, I believe the brakes could have been better. There is a wooden feel to them which robs you of the confidence to push the Tucson harder. 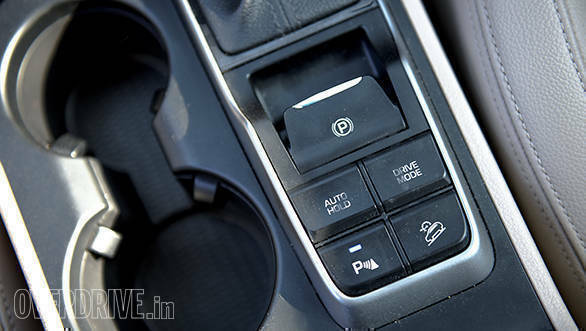 This is something we have noticed with most of the new-age Hyundais and you simply have to press harder on the pedal. The music system is enjoyable too and produces a nicer sound than the one in our long-term Elantra. It plays crisp audio notes, and the mute button will pause the music unlike other Hyundais where playback continues muted. I don't usually use maps in the car because I find glancing at the screen distracting. 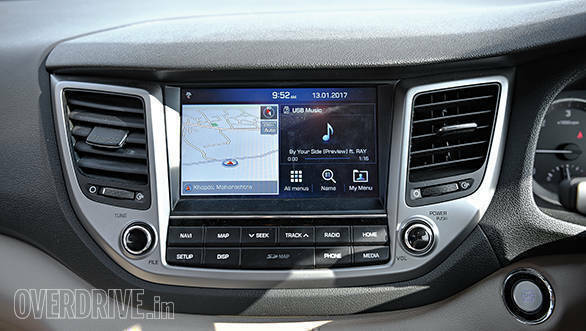 However, in the Tucson it's quite easy to see the screen, the readout is easily legible and the system easy to use. It's been a good month with the Tucson and going by the look of Bert's calendar, it's going to be another good month ahead. Yay for me!